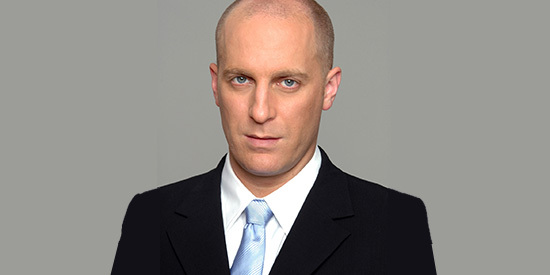 Gidi Grinstein is founder and president of the Tel Aviv-based Reut Institute, a non-partisan, non-profit strategy group that focuses the efforts of Israel and the Jewish diaspora. It has a large canvas: On the one side is the Israel 15 program, which aims to make the country one of the top 15 economies over 15 years. On the other is an endeavor to transfer Israeli expertise in areas such as medicine to other parts of the world. Far more ambitious is the Tikkun Olam initiative, named for the Hebrew phrase meaning “repairing the world.” “It is the beginning of a long journey,” says Grinstein in this interview with Israel Knowledge@Wharton conducted in December 2012. In addition to his work with the Reut Institute, Grinstein has served on various government panels and delegations. In addition, he was the founder of the Yesodot Group for reforming Israeli governance, a member of the Kol-Dor Group for global Jewish peoplehood and a founding member of a group that worked to realize the vision of the Birthright Israel program. Knowledge@Wharton: What are some of the key economic and political issues facing Israel? Grinstein: … We have the Iranian issue, which I believe will be the No. 1 issue on the agenda. If I go even deeper, we — the state of Israel — need to go through a deep realignment of our presence in the world. As a consequence of the Cold War and then the era of American dominance following the 1990s and the early 2000s, Israel is very heavily focused on the West. We have very significant emerging powers in the East and other places. We need realignment of Israel’s presence around the world. Knowledge@Wharton: What are some of the economic issues at the forefront? Grinstein: I think that the No. 1 issue of Israeli society today is the crisis of the Israeli middle class. We’re seeing a phenomenon that is not dissimilar to other places. I call it the triple whammy of the middle class: the stagnating and even slowly decreasing real salaries, the rising cost of living, and the decreasing quantity and quality of government services. So the middle class in Israel is required to do much more with the same dollars or the same shekels, and that’s a major crisis. Knowledge@Wharton: You talked earlier about the need for Israel to realign politically. That seems to be the case even in economic terms because the Israeli economy is dependent on exports to Europe and the U.S. and those economies have slowed down. I wonder if you could speak a little bit about how an economic realignment toward the emerging economies might come about. Grinstein: I am actually more confident on the economic and the business realignment because of the dynamism of the Israeli market and the business community. Today, when you travel to China, to India and places like Vietnam or South Korea, Israel is disproportionately represented in terms of the business community. This is a growing trend. I recently flew to China and it was very difficult to get a ticket. The flights are full. People are focused. The major challenge that I was speaking about is of government, and also of broadening the relationship between our society and the societies in the East. But not just in the East. I’d like to mention Australia, South Africa, Argentina and Brazil. Turkey is also an example of a country where we need a broader and deeper relationship. What we had with America for the past decades, perhaps century, is a deep understanding of each other’s society. If you look at Israeli leadership, so many of them spent significant time in the U.S., working or going to school. We don’t have that level of acquaintance with the East. And this is a major challenge. The problem is that the government is unlikely to be able to allocate the resources necessary for such realignment. This is why the Reut Institute is talking about a different approach for engaging the East. We want to bring into the fold organizations that are on the cusp of foreign relations. We’re talking about hospitals, museums, think-tanks, universities. These are institutions that can, with the right kind of incentives, create deep relationships with parallel institutions in the East. They can allow a broader and deeper relationship of the state of Israel with these societies. Knowledge@Wharton: Are there any examples to demonstrate what you’re talking about? Grinstein: Yes, we have the Ben Gurion University. We believe this can be a major outpost for foreign relations of the state of Israel and of Israeli society in terms of its engagement with the world. The Ben Gurion University has two major assets that are very valuable for the world. First, it sits on the edge of the desert and there are millions of people around the world who are struggling with the expansion of deserts. There is knowledge here that could be extremely valuable to other societies. The second major asset this university has is that it is an address for the indigenous Bedouins, a nomadic community that lives in the Naqab, which is the desert in southern Israel. That knowledge of engaging an indigenous community, a nomadic community, with all the associated challenges, is very valuable for other countries. Let me mention one more example. At Wolfson Hospital [in Holon, south of Tel Aviv], there is a project called Save a Child’s Heart. It’s about bringing children from all over the world, but primarily from Africa and the Middle East, for critical life-saving heart treatment. Here you’re taking knowledge that Israel has created — world-class knowledge in terms of heart treatment — and making it an asset for engagement with the world. Knowledge@Wharton: It’s clear that deepening human relationships and strengthening human resources are very critical. There are also some interesting opportunities Israel has in terms of natural resources. The discovery of natural gas has been described as a game changer. How do you think that’s going to affect Israel’s relationship with its neighbors? Grinstein: I doubt if it will affect our relationship with our immediate neighbors because our relationship with them has never been about energy. It’s been about the basic acceptance of our existence in this area, specifically the right to self-determination of the Jewish people in this land. This has been the major challenge for many years. Some Arab people and leaders and societies reject that. Others accept it. I think that the Arab Spring may be the beginning of a positive dialogue because Israel was scapegoated in the Arab world for all internal problems. Now, hopefully, many more Arabs will understand that Israel is not the source of their problems and coexistence is possible between the state of Israel and its neighbors. Knowledge@Wharton: Your think-tank has a report called Israel 15, which calls for making Israel one of the top 15 economies over 15 years. How can this come about? Grinstein: First of all, let me say a few words about the urgency. The Israel 15 vision is a response to a major challenge and potential crisis that we have in our society. Israel is one of the leading countries in the world in terms of quality of population, level of education and skills etc. This is evident in almost any leading North American university; you can see a disproportional presence of Israelis, both in the student body and faculty. But the quality of life here is ranked 30 to 40 in the world. We are No 1 in the gap between the potential of the people and the quality of life. If we want to make Israel attractive to the talent in the country and the talent that has left to acquire education and experience, we have to improve the quality of life. Transforming a society is a very rare phenomenon. This is the vision of my organization. We did extensive comparative research. One of the most interesting things we found is that the foundation for a leap actually comes from the public sphere, not necessarily the public sector, but the public sphere. I’m talking about creating a vision, a shared vision for society, mobilizing the serving elite, the people who have the resources, money, education and access to serve this vision. It’s about values. There is a shared common denominator among countries that have made the leap. It is on the values, about long term, about investment, about saving, about inclusiveness — that everybody gets to participate in growth and benefit from growth. Then, it’s about certain institutions that have to be in place: For example, an institution that is mandated to explore the world, to identify long-term trends and to see how the state of Israel can be relevant to these trends. It’s about the investments in infrastructure, in human resources, in regulation. It’s also about the different relationship among the labor unions, the government and the employers. And it’s about policies that emphasize the development of the periphery, not just the center, focuses on unique assets and tries to tap into global trends. These are the key elements. When they are in place, you may begin to see a perfect storm of inclusive growth, which means high growth that is sustainable and inclusive. Knowledge@Wharton: That’s an ambitious vision. What will be the catalyst that brings about such a dramatic leap? Grinstein: There’s no single catalyst. You have to get a lot of people focused and working in that direction. One of our concrete projects now is an urban community in Svat, an ancient, poor city we’re trying to turn around. We’re modeling it in order to be able to scale it to other areas; there are 30-50 similar communities in Israel. The moment we figure out how to do it in Svat, we can do it in other places. We have engaged one of the leading business and economic newspapers here to expand the public discourse on economic development and growth. One of the things we have seen in other countries that have made the leap is that economic development was not the exclusive domain of a few experts in the ministry of treasury or the central bank or the prime minister’s office. It was the subject of very broad, societal deliberation. Obviously, you work with the government. When we started in 2006, one of our goals was that becoming one of the 15 leading countries in the world should become a formal government objective. This happened in 2011. You can already see ministries building their strategic plans based on that goal. If you look across the administration, there are dozens and even hundreds of people who wake up in the morning with that goal in mind. This is remarkable because when we started we were just four people in the room. The moment you get all these forces aligned, you may get that perfect storm that we’re looking for and the leap that we’re aspiring to see. We will never be able to show a direct correlation between what we did and what happened. We’re intervening in an ecosystem and there is no direct correlation between cause and effect. We are very small in that ecosystem. But we work as a catalyst and have been working at it for six years. I think we’re making very significant progress. Knowledge@Wharton: In conjunction with the Alliance for Global Good, you also have a second vision, and this one is not just for the transformation of Israel, but also for the transformation of the world. What I’m referring to is the 21st century Tikkun Olam initiative. Could you explain a little bit about that? Grinstein: The basic idea here is that Israel and world Jews all together — 14 million people — can and should make a very significant contribution to humanity. So much of the world’s challenges today are at the bottom of the pyramid. And Israel has been absent from the bottom of the pyramid. Our vision is about Israel and the Jewish world working together to make a significant difference in the lives of a quarter of a billion people. If you ask me, we can go for a billion within a decade. The way we will do it is by following a few principles. The first principle is to identify and focus on the countries where we have a unique value proposition to give and they have a significant need. Second is focus on areas where we have, again, a unique value proposition for the world. In our view this is primarily on the issue of life at the edge of the desert. Israel has done with the edge of the desert more than most other countries. There are millions, including 90% of the Arab world, who live at the edge of the desert. We can help them deal with their challenges. The second area is prenatal and natal medicine. Israel has had tremendous achievements here that we can take to the world. We need to constantly build our standing in the world. There are a lot of people working to delegitimize the state of Israel, delegitimize the right of the Jewish people to self-determination. We need to build relationships with emerging leadership who today have no clue or no position on Israel. Knowledge@Wharton: Repairing the world is a tall order. How far have you progressed? Grinstein: What we saw when we started is that there are a lot of groups and a lot of great people and great leaders doing very important work on the ground. But there was no synchronized approach, there was no deliberation, there was no shared goal, there was no focus. So we did the research and we engaged a lot of these players to think together on what could happen. We published the report, which is basically the beginning of the journey. That was in April 2012. Ever since, we’ve been presenting the report and getting people to think about it and to talk about it. It’s the beginning of a long journey. What I can tell you from our experience is that the first step toward achieving such a vision is changing the discourse. This is what we’re trying to do right now. We’re trying to get people focused on a shared objective, focused on specific countries with a significant need where we can bring unique value. Focus on the areas where we can make a difference. Build the relationships that will allow us to move forward. These are the things we are focusing on right now. A year from now we’ll have a lot to report on that. Knowledge@Wharton: I understand you’re working on your first book. I believe the title is Flexi-Rigidity? Knowledge@Wharton: What does that mean and what is your book about? Grinstein: Flexigidity is a word I created by merging the word flexibility and rigidity. To explain the book, I’ll tell you what the first page looks like. At the top of the page is the famous quote from Mark Twain who said: “All things are mortal but the Jew. All forces pass but he remains. What is the secret of his immortality?” Then I put in a quote from Darwin who said: “It’s not the strongest of species that survives, nor the most intelligent. It’s the most adaptable.” So Charles Darwin’s answer to Mark Twain’s question is adaptability. And the subhead of my book is The Secret of Jewish Adaptability. The book basically describes the mechanisms that Judaism has created over 2,000 years to allow adaptation to ensure its survival, security, prosperity and leadership. The last section of the book speaks about the relevance of this ancient society of knowledge to the future of the state of Israel and what does it mean to be a leader that operates in a flexigid society. Knowledge@Wharton: Let me ask you one last question. How do you define success? Knowledge@Wharton: In work, in life? Grinstein: For me, these are very different things. Success in life has to do with family, with a relationship with your spouse, with your children and many other things. But if I focus on work, for me success is the ability to achieve the effects that you wanted to achieve. What I mean by effect is not just the accumulation of the resources and the energy that you put in, it’s a whole that is hopefully much bigger than the sum of all your activities. I’m a very small player in the system that I’m intervening in. But what I’d like to see happen is much bigger than what I’m doing. The ability to witness that effect taking place is success.